We are committed to maintaining the highest standards of integrity and professionalism in our relationship with you, our client. We endeavor to know and understand your situation and provide you with only the highest quality information, services, and products to help you reach your goals. 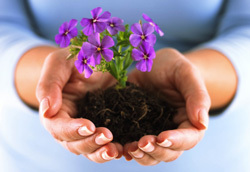 We are independent, dedicated to serving your needs, seeking the solutions for your family that will allow the seeds you planted and nurtured throughout your working years to flower into a new springtime of your life in retirement!